I’ve been out of town quite a bit lately without the chance to highlight press articles on Social Security that may be of interest. Here’s a recent run-down. The Academy co-hosted a convening on August 25 with the National Urban League Washington Bureau, as part of an ongoing partnership centered on the Academy’s public education initiative and older workers’ toolkit, When to Take Social Security: It Pays to Wait. Academy Members Bill Spriggs, Chief Economist of the AFL-CIO, and Monique Morrissey, Economist at the Economic Policy Institute, as well as the Academy’s Kristen Arnold and Ben Veghte, presented information on the importance of the program to communities of color, things for older workers to consider before taking Social Security benefits, and policy options to strengthen the program. A robust discussion followed by attendees from prominent labor, African American, financial, and women’s organizations. The Academy looks forward to future work with the National Urban League Washington Bureau. Contact Kristen Arnold (karnold@nasi.org) with questions about the initiative or for free copies of the Academy’s toolkit resources. In order to better accommodate the schedules of students and professors, the Academy has extended the deadline for nominations of its two writing awards, which recognize superb scholarship on social insurance issues. Each award is $2,500. Nominations for both are now due by October 1, 2015. ​The awards will be bestowed at NASI’s annual policy research conference in Washington, DC on January 27, 2016. The National Academy of Social Insurance seeks a mid-level Policy Analyst to work on a wide range of social insurance issues involving Medicare, Medicaid, long-term services and supports and health care reform implementation. The analyst provides direct research, program and administrative support to the Vice President for Policy and other Academy members and staff as needed. Please spread word of this opening to your networks. Read the full posting. It depends on how you measure them. Check out the Committee for a Responsible Federal Budget’s whole discussion here. For myself, I tend to think a replacement rate (properly measured) is a better measure of relative generosity than absolute dollars, both because it captures retirement income adequacy and because it implicitly looks at tax rates, which are also a percentage of earnings. For instance, when we compare pension taxes we tend to look at rates rather than absolute dollars. All that said, these are issues that don’t get nearly enough attention – and I’m glad the Committee for a Responsible Federal Budget is adding that. The Bipartisan Policy Center convened the Disability Insurance Working Group in 2014. The group includes individuals from across the ideological spectrum with a variety of backgrounds and viewpoints, including academics, policy researchers, advocates for people with disabilities, representatives of the labor and business communities, and former congressional and agency staff. Working group members share an urgent concern to address the impending exhaustion of the Disability Insurance Trust Fund and to improve the Social Security Disability Insurance (SSDI) program to better meet the needs of Americans with disabilities. There is shared recognition that a bipartisan approach will be necessary and that there are ways in which the program could be improved. While many members of the group would not endorse every provision herein on a stand-alone basis, they have agreed to support the complete package. Republicans Mum on Social Security Privatization? been mysteriously silent about one issue that many conservatives support: privatization. Instead of calling for private accounts that give seniors the ability to invest their Social Security benefits, with all the potential for reward and risk that implies, many of this year's Republican candidates are calling for maintaining the structure of the popular federally-managed retirement program. Their plans for saving money: Making benefits less generous. Read Kapur’s whole article here. Dean Baker of the Center for Economic and Policy Research, writes that future generations can afford higher Social Security taxes, so long as reduced earnings inequality means that their annual incomes will rise. Read Jed Graham over at Investor’s Business Daily. In 2016, for only the third time in 40 years, Social Security beneficiaries are not expected to receive a cost-of-living adjustment (COLA). No COLA means that Medicare Part B premiums cannot increase for most beneficiaries, so a minority has to bear the full burden of rising costs. Beyond this immediate flap, a broader issue is that Medicare premium growth is not fully captured by the inflation measure used to set the COLA. As a result, when Medicare premiums rise rapidly, older Americans cannot maintain their non-Medicare spending. In short, even the Social Security COLA does not fully insulate older households from the erosive impact of inflation. "IRA Withdrawals in 2013 and Longitudinal Results 2010-2013"
The Employee Benefit Research Institute (EBRI) developed the EBRI IRA Database, which includes a wealth of data both by calendar year and longitudinally on IRAs, including withdrawals or distributions, allowing for the examination of IRA asset holdings both at a point in time and as the individual ages and either changes jobs or retires. The EBRI IRA Database is an ongoing project that collects data from multiple IRA-plan administrators. For year-end 2013, it contains information on 25.8 million accounts owned by 20.6 million unique individuals, with total assets of $2.46 trillion. This paper examines the percentage of Traditional- and Roth-IRA owners in the EBRI IRA Database that made a withdrawal in 2013. In this study on withdrawals, only those individuals owning either Traditional or Roth IRAs in the database are examined, a total of 16.9 million individuals with $2.14 trillion in assets. In addition, the amount and the proportion of the account this withdrawal represents are investigated, by IRA type and account balance, as well as by the gender and age of the account owner. Furthermore, this withdrawal activity is examined longitudinally over the years 2010-2013, with a particular focus on owners ages 70 or older (the point at which IRA rules on required minimum distributions become effective) in 2010. Just over 22 percent of individuals who owned a Traditional or Roth IRA took a withdrawal in 2013. The overall IRA withdrawal percentage was largely driven by activity among individuals ages 70-1/2 or older owning a Traditional IRA -- the group required to make withdrawals under federal required minimum distribution (RMD) rules for IRA owners beyond that age. In contrast, among individuals under age 60, 10 percent or fewer had a withdrawal. For those at the RMD age, the withdrawal rates at the median appeared close to the amount that was required to be withdrawn, though some were significantly more. For instance, looking at the consistent sample in the EBRI IRA Database, approximately 25 percent of those 71 or older took a withdrawal amount in excess of that required by law for Traditional IRAs. Among those ages 70 or older, withdrawal rates over a four-year period showed that most individuals were withdrawing at a rate that was likely to be able to sustain some level of post-retirement income from IRAs as the individual continued to age. Further study is needed to see if these individuals are maintaining those withdrawal rates over longer periods of time. "The Relationship between Automatic Enrollment and DC Plan Contributions: Evidence from a National Survey of Older Workers"
Automatic enrollment has been widely embraced for raising employee participation in 401(k) plans. However, the empirical evidence is based on data with limitations that, up until now, have prevented researchers from extrapolating the effects of automatic enrollment to the broader population of workers. This paper reexamines the determinants of 401(k) participation and contributions in the presence of automatic enrollment using nationally representative data from the Health and Retirement Study (HRS) for 2006 through 2012. The results confirm previous findings that automatic enrollment is associated with a higher proportion of workers included in DC plans; however, automatically enrolled workers are less likely to contribute to their DC plans than voluntarily enrolled workers. Auto enrollment is also associated with lower employee contribution amounts and rates. However, the employers of auto-enrolled workers are more likely to contribute to their employees’ accounts than are the employers of voluntarily enrolled workers. Additionally, employer contribution amounts and rates are higher among workers who are automatically enrolled. Even so, the combined effect is that the retirement accounts of automatically enrolled older workers receive, on average, $900 less in combined annual contributions and have contribution rates that are 1.6 percentage points lower than those of voluntarily enrolled workers. The paper found that: Automatic enrollment is associated with a higher probability of being included in a DC plan. On average, workers who are automatically enrolled in a DC plan tend to be less likely to contribute positive amounts than those who opt in. However, the employers of automatically enrolled workers are more likely to make contributions and to contribute, on average, higher amounts and a higher percentage of their employees’ earnings. The correlation between automatic enrollment and combined (employer and employee) contribution amounts and contribution rates, however, is still negative, despite controlling for a range of factors. The policy implications of the findings are: Auto enrollment could do a better job of boosting overall contribution levels among participants. Possible ways to achieve this might be by offering a more generous employer match and by using auto escalation. More research and better data are needed to assess the potential impact on retirement plan contributions of implementing automatic enrollment features in DC plans on a national scale. "Will the Average Retirement Age Continue to Increase?" Using Health and Retirement Study (HRS) data, this paper examines how changes in individual workers’ past and present pension coverage, retirement incentives in Social Security, and retiree health insurance have contributed to retirement decisions for the 1931-1953 birth cohorts. It then uses these findings to project retirement behavior for the 1955-1987 cohorts in the Survey of Income and Program Participation (SIPP). A key assumption is that younger cohorts will have no defined benefit (DB) pensions or retiree health coverage in their future jobs. A key limitation is the assumption of a stable relationship in each successive cohort between each factor and labor market decisions. The paper found that: The decrease in DB pension coverage from previous jobs and the decline in retiree health coverage between the HRS and SIPP cohorts each push the retirement age up by approximately one year, all else equal. The one-year increase in Social Security’s Full Retirement Age is associated with a 0.3-year increase in the retirement age, all else equal. After accounting for other differences between the HRS and SIPP cohorts, the average retirement age is projected to rise by one year over the next three decades, from age 61.8 to 62.8. The policy implications of the findings are: We anticipate that changes in pensions, retiree health benefits, and Social Security that are already in motion will continue to increase, albeit slightly, the average retirement age. Nonetheless, policies aimed at extending retirement ages may still be necessary, given that a one-year retirement age increase is likely to be insufficient to permit future cohorts to achieve a sufficient standard of living. "The Challenge of Pension Reform in Georgia: Non-Contributory Pensions and Elderly Poverty"
"The Effect of Housing Wealth Shocks on Work and Retirement Decisions"
We exploit the large geographic variation in the magnitude and timing of the 2000s housing boom and bust to explore the relationship between unanticipated changes in housing wealth and retirement behavior. Using data from the Health and Retirement Study, 2000 to 2010, we calculate unanticipated zip code-level shocks to home values and find evidence that they are incorporated into decisions on retirement, retirement reversals, and the claiming of Social Security benefits. Women experiencing large negative housing price shocks are 25% less likely to retire relative to those experiencing positive shocks. We find no such effect for men. Already retired homeowners are 50% more likely to reenter the workforce or increase their hours when they experience more negative housing shocks. Regardless of the direction or magnitude of any housing market shock, homeowners with mortgages are less likely to retire (if not yet retired) or reverse retirement (if already retired). We also find that homeowners experiencing more negative housing shocks delay initial receipt of Social Security benefits. This is especially true for men. "Tactical Asset Allocation for U.S. Pension Investors: How Tactical Should the Plan Be?" Following the recession in the early 2000s, U.S. corporate and public defined benefit (DB) plans faced unprecedented uncertainty with respect to their funding requirements going forward. Just as capital market performance started helping plan sponsors improve the health of their DB plans, the financial crisis of 2007-2009 delivered another serious blow. Consequently, plan sponsors turned their focus on improving their risk management practices and determining whether asset managers with proven track records should be given more broadly defined mandates, specifically designed to allow for more effective navigation in more volatile markets. Tactical asset allocation strategies seek to add value by deviating from a plan’s policy mix based on the manager’s view on the attractiveness of various asset classes, regions and sectors within the investment opportunity set. Although tactical asset allocation can add value to a portfolio, manager skill and risk taking are required to achieve reasonable risk adjusted performance. The timing and magnitude of shifts from the policy mix can have a significant impact on the portfolio outcomes. Therefore, it is essential for investors to assess the appropriate role of tactical asset allocation in their portfolio management process and evaluate the risk-return tradeoff of tactical deviations from policy. Our study uses a sample of historical returns from the global financial markets and simulation methodology to investigate the relationship of tactical band size and rebalancing practices to various measures of portfolio performance. The results show that providing investment managers with limited flexibility in making asset allocation decisions may allow DB plans to weather down markets better. For DB plan sponsors who are considering giving managers less constrained mandates, manager skill in adding value through tactical asset allocation decisions should be considered. Former Arkansas Gov. Mike Huckabee defended the program, saying that of the 60 million Americans receiving Social Security benefits, one-third rely on it to provide 90% of their income. Mr. Huckabee challenged members of Congress to give up their own retirement benefits first. New paper: The Transition from Defined Benefit to Defined Contribution Pensions: Does It Influence Elderly Poverty? The transition from defined benefit (DB) to defined contribution (DC) pension plans has left workers forced to make choices that may decrease their financial resources in retirement: taking lump-sum distributions before retirement that divert funds that could support consumption in retirement, not annuitizing DC benefits, or choosing a single-life annuity over a joint-and-survivor option so that their surviving spouses are left susceptible to income loss. This study examines pension coverage, lump-sum distributions, annuitization, and annuity life options among Health and Retirement Study households observed at ages 65-69 and 75-79 and relates these pension provisions to poverty incidence and the risk of falling into poverty at older ages. The results indicate that households with pensions that are annuitized with the joint-and-survivor life option and that do not take lump-sum distributions before age 55 are best able to avoid income and asset poverty. 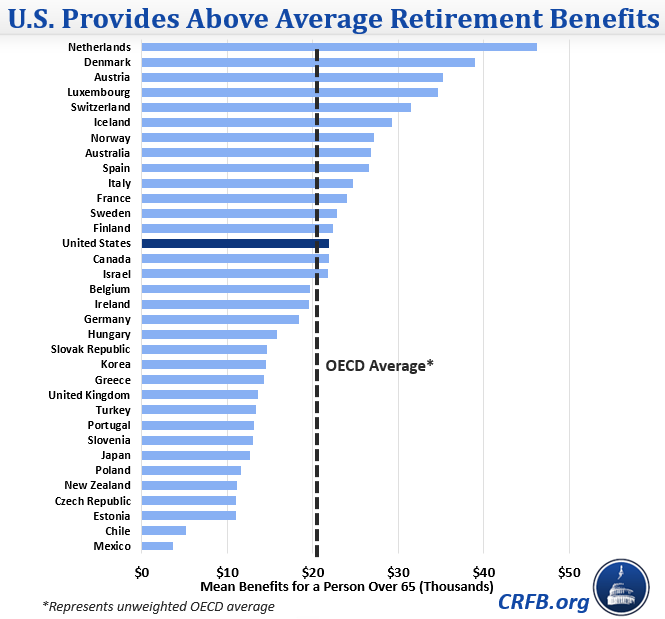 The results emphasize the importance of making DC plans operate more like DB plans, because the opportunities for these poor financial choices are likely only to grow given the reliance on DC plans as the sole source of employer pension income for future cohorts of retirees. Did George W. Bush 'borrow' from Social Security to fund the war in Iraq and tax cuts? Short answer: No. But click here to read more from Politifact. Today, the McCrery-Pomeroy SSDI Solutions Initiative will be hosting an all-day solutions conference. The conference will feature 12 policy proposals to improve the Social Security Disability Insurance (SSDI) program, written for the initiative by authors from a variety of backgrounds and perspectives. The conference will also feature opening remarks by Senate Finance Committee Chairman Orrin Hatch (R-UT), mid-day remarks from Bob Greenstein, president of the Center for Budget and Policy Priories, and a wrap-up panel including Congressmen McCrery and Pomeroy alongside Social Security experts Mark Warshawsky and Alan Cohen. We invite you to watch the SSDI Solutions Conference live, today from 8:45 am to 5:00 pm on our livestream. You can find a full agenda on our website. Also, in case you missed, it please check out Congressmen McCrery and Pomeroy’s op-ed on SSDI in The Hill. To watch the SSDI Solutions conference live, click here. View the agenda and register. There is no charge to attend the meeting. Can't attend in person? The event will be streaming live. Register for Thursday's webcast. Register for Friday's webcast. 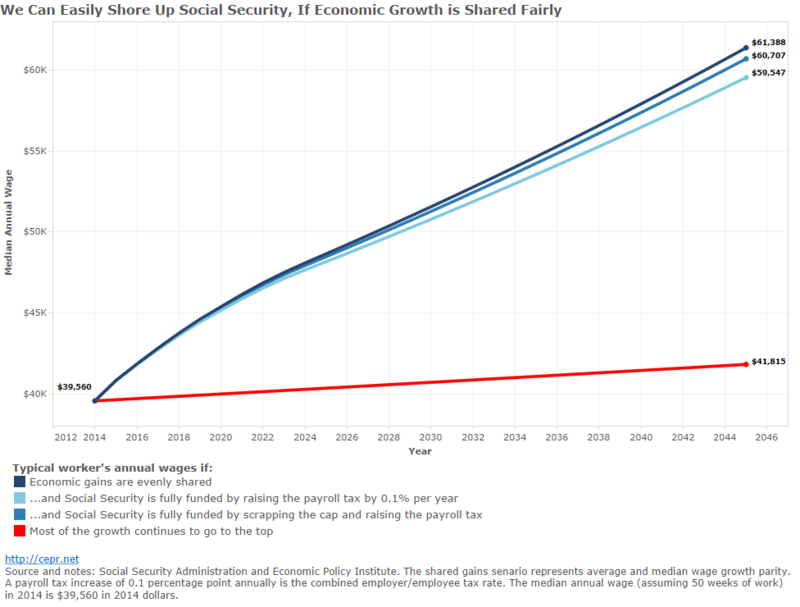 Is Bipartisan Social Security Fix-Lite in the Works? National Journal’s Dylan Scott reports on prospects for a deal to delay the insolvency of the Social Security Disability Insurance program, which is projected to occur in late 2016. Congress is working on legislation that would package together various reforms to the Social Security disability program with the aim of avoiding a big benefit cut next year, according to lawmakers, congressional aides, and lobbyists interviewed by National Journal.